It appears that with the new Goofy short finished, Walt Disney Animation Studios is moving on to its other productions and people in the know are starting to get a look at the final product. Jerry Beck over at Cartoon Brew has seen Goofy's comeback vehicle and has a review of it over on the site. What's his verdict? Well, go read it and see... but let's just say that directors Kevin Deters and Stevie Wermers-Skelton have done for Goofy what Quentin Tarantino did for John Travolta. I can't wait to get a look at this and hope that Disney announces soon which film they plan on releasing it with... I hope my sources are right about which one it may be attached to. honestly i had no idea goofy was staging a comeback! well this is all vary exciting! 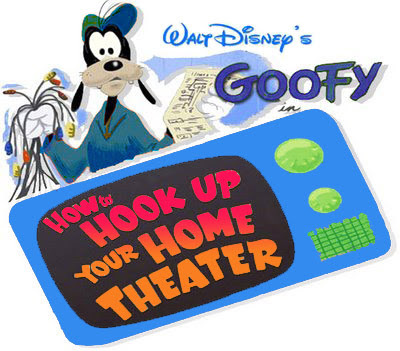 Not to spoil the surprise but I thought Disney has gone public with which upcoming release the Goofy Short would be partnered with...??? Disney has not yet officially announced which movie Goofy will be attached to. I think that's what I said. They haven't officially announced anything. I was stating that some people in the know have said which film the Suits are leaning toward putting it in front of. And here's to hoping they do. As I said, "I could be wrong." Thanksgiving is sure sounding good right now, though! That first "comment" is so totally spam. I'd delete it. And "Enchanted" would be my guess too. Just makes me look forward to it all the more.